Rhinoplasty is s surgical procedure which changes the shape and improves the appearance of the nose. Most frequently patients become unhappy with the appearance of their nose after it grows in their late teens and early 20s. 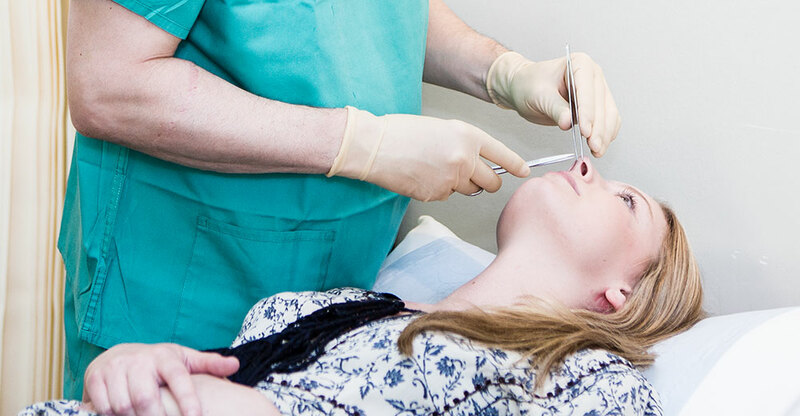 The procedure can be done after the age of 18 provided you are fit for the anaesthetic. Surgery is performed under general anaesthetic. Various incisions can be used to access the nasal bone and cartilage. 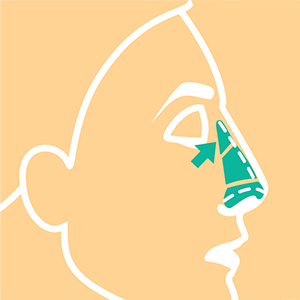 Typically we might make incisions inside the nostrils with a small connecting cut across the underside of your nose. This examines the cartilages and bones of your nose. 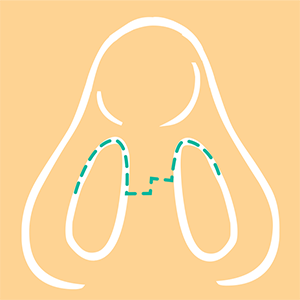 Surgery to reduce the size of the nose involves removing the prominent area and refining the tip by combination of judicious cartilage reduction and sutures. If necessary the side walls can be brought inwards to narrow the nose. Sometimes if selected areas are deficient cartilage can be put back for selective enhancement. Many tweaks and refinements have been described in rhinoplasty and utilised on a case by case basis. Typically you would be asked to sleep with a couple of extra pillows to reduce swelling. Patients go home the following day and return after one week to have the splint and sutures removed. Most of the discolouration and swelling settles after 10-14 days. If you don't want to tell your colleagues, two weeks off work are most often sufficient. Pain is not a major issue after rhinoplasty but we usually prescribe some mild painkillers just in case. It takes several months for your skin to shrink down to fit the new shape of your nose and for the final results to be fully appreciated. We discharge patients when they are happy with the outcome. 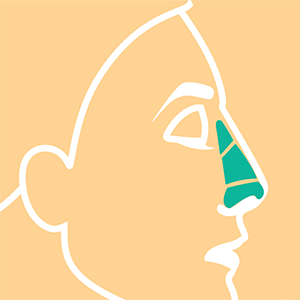 Nasal surgical intervention may incur the risk of complications which would include but not be exclusive to: bleeding, bruising, swelling, infection, delayed healing, scars of unpredictable quality and position altered sensitivity of the nasal skin, narrowing of the nose resulting in impaired airflow, irregularity, asymmetry and an imperfect aesthetic outcome. The risks of complications affecting your general health such as blood clots in your veins (DVT) or chest infection are small. With all cosmetic procedures there is a small risk of dissatisfaction with the outcome. Skin reduction cannot restore normal skin elasticity but can remove some excess. We aim to minimise this by carefully evaluating why you want surgery, what you want from surgery and why you are having surgery now. Will I be covered if something goes wrong? Our 'inclusive care' policy is such that if there is a complication or adverse outcome from surgery within the first year then we can provide any further treatment required at no additional cost to you. See our Pricing page for a list of all guide prices.